Learn how to craft persuasive, well-supported arguments in relation to memorable stories, poems, plays, and essays clustered together around an assortment of current issues. 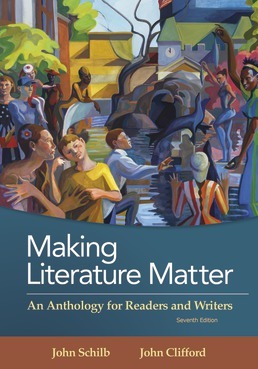 Making Literature Matter contains recent fiction, poetry, drama, and nonfiction that dives into issues concerning today's students in order to engage you and help you become a better writer by writing about what interests you. Chapter 1: What Is Literature? How and Why Does It Matter? Ann Schumwalt, The Mother’s Mixed Messages in "Girl"
Abby Hazelton, The Passage of Time in "The Solitary Reaper"
Tanya Vincent, The Real Meaning of "Charity" in "A Visit of Charity"
Trish Carlisle, Which Is the Stronger Actress in August Strindberg's Play? Karl Magnusson, Lack of Motion and Speech in Rolando Perez’s "Office at Night"
Katie Johnson, The Meaning of the Husband's Fainting in "The Yellow Wall-Paper"
Jacob Grobowicz, Using Foucault to Understand Disciplinary Power in Gilman's "The Yellow Wall-Paper"
Brittany Thomas, The Relative Absence of teh Human Touch in "The Yellow Wall-Paper"
Kyra Blaylock, Different Kinds of Horrifying Images in "The Yellow Wallpaper" and "A Salem Witch"
Cultural Contexts: Charlotte Perkins Gilman’s "The Yellow Wallpaper"
Charlotte Perkins Gilman, Why I Wrote "The Yellow Wallpaper"
*Literature and Current Issues: Why Do Children Rebel Against Parental Expectations? *Geeta Kothari, If You Are What You Eat, Then What Am I? Elizabeth Barrett Browning, How Do I Love Thee? * Literature and Current Issues: Are Millennials Narcissists? *David Hernandez, "Words without Thoughts Never to Heaven Go"
*Vladimir Nabokov, "Signs and Symbols"
*Wayne Goodman, from "Forum: High Pressure: Psychosis, Performance, Schizophrenia, Literature"
*Michael Wood, from "Consulting the Oracle"
*Literature and Current Issues: Does Our Happiness Depend on Others’ Misery? 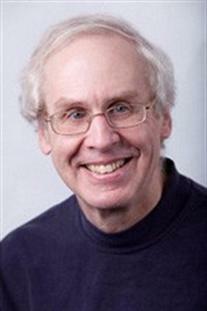 *Literature and Current Issues: How Just Is Capital Punishment? *George Will, "Capital Punishment's Slow Death"
*Charles J. Ogletree, "Condemned to Die Because He's Black"
Stephen Bandy, from "‘One of My Babies’: The Misfit and the Grandmother"
John Desmond, from "Flannery O’Connor’s Misfit and the Mystery of Evil"
*Literature and Current Issues: Do Immigrants Take Jobs from Native-Born Workers? Tirthankar Bose, from "Oscar Wilde’s Game of Being Earnest"